Pleasanton, CA — April 16, 2019 — NextHome is proud to announce our newest addition to the franchise, NextHome Orange Blossom Real Estate. The new brokerage represents the 56th office location opened in the state of Florida by the NextHome franchise. The Minneola-based brokerage will be owned and operated by broker Ana Afshin. NextHome Orange Blossom Real Estate will provide real estate services such as first-time buyer, investor, rehab & resale, commercial, senior living, and traditional single-family sales for the areas of Minneola, Claremont, Groveland, Kissimmee, and the remainder of the North Orlando area. Ana also works with investors from overseas, particularly from Europe and South America. Based in Lake County, the city of Minneola is located 40 minutes northwest of Orlando and is home to just under 15,000 residents. Ana started her real estate career right out of high school in 1999 in Ann Arbor, Michigan. Her stepfather convinced her to work with him at his commercial real estate business. The two of them focused on purchasing and managing apartment complexes. Ana worked as the leasing agent for one of his complexes and was responsible for filling the units with qualified tenants, as well as maintaining each unit. Shortly after, she assisted in selling and acquiring those apartment complexes. After moving to the Dallas-Fort Worth area of Texas in 2004, Ana got her real estate license, but not for commercial real estate reasons. Over the next five years, Ana worked at a local franchised office, before opening her own brokerage in late 2009. With residential sales slowing due to the recession, Ana went back to her roots and focused mainly on multi-family and commercial sales. During this time, she also purchased a large apartment complex that she rehabbed and resold for more than $1 million in profit. In 2015, Ana and her family moved to Florida after selling her Texas brokerage. After making the move, Ana focused on raising the couple’s three children, while Cameron bought and flipped properties from 2015 to 2017. In 2018, Ana was ready to come back and sell real estate full time and that’s when she found NextHome. The NextHome Orange Blossom Real Estate difference will be the constant goal of earning client trust. Ana and Cameron have been married for 13 years and they have four wonderful children – sons Skyler (13 years old), Blaze (10), Jax (eight-months-old), and daughter Hailo (4). The family loves spending one full day a week enjoying the beach, Universal Studios or Disneyworld. Please join us in congratulating Ana and the rest of the team at NextHome Orange Blossom Real Estate on the opening of their NextHome office in Minneola, FL! Interested in being a part of the NextHome Real Estate Franchise? Contact VP of Sales Charis Moreno at Charis@NextHome.com. Each office is an independently owned and operated business. Pleasanton, CA — April 9, 2019 — NextHome is proud to announce our newest addition to the franchise, NextHome Ocean State Realty Group. This new brokerage represents the very first office location opened in the state of Rhode Island by the NextHome franchise. The Cranston-based brokerage will be owned and operated by broker Brian Buonaiuto. He will be joined at the brokerage by his wife, Tara, who is also a licensed agent. NextHome Ocean State Realty Group will provide real estate services such as first-time buyer, investor, rehab & resale, military relocation, and traditional single-family sales for the entire state of Rhode Island. The brokerage also works closely with the Homes For Heroes program – a home buying program specifically designed for first responders, military personnel, medical professionals, and school teachers. Brian comes from a background in corporate management, where he had previously worked at several different Fortune 500 Companies such as Burger King, Enterprise Rent-A-Car, and Public Storage. Knowing he was no longer interested in corporate America, Brian had an eye on pursuing his passion for real estate and in 2018, he left his management role to make the move to selling homes full time. “I wanted to take my business experience and direct it towards a career where I felt I could really make a difference with buyers and sellers who were looking for great representation,” said Brian. He started with a small independent brokerage in Cranston and did very well in his first year. But it was a conversation with a friend from Florida that caught his attention. “Everything I saw, I absolutely loved,” he added. Brian and Tara have been married for six years and they have a five-year-old son, Jack. With Jack having autism, the couple are very involved with multiple charities and organizations that provide support to families with autistic children. Please join us in congratulating Brian, Tara and the rest of the team at NextHome Ocean State Realty Group on the opening of the first NextHome office in the state of Rhode Island! Pleasanton, California — April 5th, 2019 – NextHome proudly announces its new national charity partner, Canine Companions for Independence®, a nonprofit with the primary purpose to enhance the lives of people with disabilities by providing highly trained assistance dogs. The partnership will drive national donation efforts from its local offices to generate additional funds that will provide Canine Companions assistance dogs to children, adults and veterans with disabilities free of charge. The partnership with Canine Companions was revealed during the fourth annual NextHome conference. The three-day event in Las Vegas brought together hundreds of NextHome franchisees, brokers and agents from across the country to take a first peek on trending industry insights and introduce new programs, such as this partnership. Pleasanton, CA — April 4, 2019 — NextHome is proud to announce our newest addition to the franchise, NextHome Simplicity. This new brokerage represents the third office location opened in the state of Mississippi by the NextHome franchise. The Long Beach-based brokerage will be owned and operated by top-producing REALTORS® and husband and wife team of Andrew and Brittany Geotes. The new office represents the 350th office launched by the NextHome franchise. NextHome Simplicity will provide real estate services such as first-time buyer, investor, multi-family, land, military relocation and traditional single-family sales for the areas of Long Beach, Gulfport, Pass Christian, Waveland, Biloxi, Ocean Springs, and the remainder of Hancock, Harrison, and Jackson counties. Located ten minutes west of downtown Gulfport, the town of Long Beach is known for its affordable housing, with most homes sold under $200,000. There is a Naval Construction Battalion base in the area which employs many military service men and women. Long Beach is also known for its school districts and many families that have migrated to the area want to have their children in these particular schools. Before meeting each other, both Andrew and Brittany were very successful individual REALTORS® in their own right – each selling in opposite sides of the coast. Ironically, they met in Gulfport, which sits directly in the middle of their respective sales areas. Starting as a residential appraiser in 2004, Andrew has more than 15 years of real estate experience. His expertise includes rehabbing and flipping properties as an investor himself. He started selling real estate in Fall 2012 and quickly became a top producer at his local brokerage, selling more than 35 homes in 2013. Brittany got her real estate license in 2014 and worked at the local RE/MAX. In her very first year, she sold 12 transactions. Since then, she has doubled her sales every year she’s been in real estate. Andrew and Brittany met in 2015 during a real estate transaction, started dating later that year, and were married a year later. Brittany spent the majority of her career selling in the Bay St. Louis, Waveland and Pass Christian, with a focus on the second home market. Andrew worked mainly on investment and resale properties on the opposite side of Gulfport. The couple attributes a significant portion of their success on their commitment to re-investing back into their business. In 2017, the Geotes’ made the move to a NextHome office in Gulfport – NextHome E-Realty. Consistently award winning agents, Team Geotes sold more than $14 million in real estate in 2018 with 84 transactions closed. With the intention of always opening their own brokerage, the couple felt that 2019 was the right time to go out on their own and open NextHome Simplicity. Please join us in congratulating Andrew, Brittany and the rest of the team at NextHome Simplicity on the opening of their brand new office in Long Beach, MS! We spend so much time talking about the importance of repeat business and referral business… but the reality is that MOST agents have still not come up with the right way to keep in touch naturally over the long-term. The result? Will your clients hire you the next time you buy or sell your home? Are you sure? After closing, 70% of sellers say they would “definitely” use their agent again — but only 25% of repeat buyers and sellers actually do. We aren’t here to lecture you. Creating one client for life relationship is tricky enough, and aiming to keep in close touch with every client you’ve ever had is nearly impossible. Still, there are a few low key ways to ensure that you don’t break a bond that could end up paying off — both in business and in friendship — after you walk away from the closing table. Below are four tactics you can employ to create more long-term, business-boosting client relationships. You ask for reviews and testimonials after you close, but do you ever bother to ask yourself how much YOU liked working with a client? If you want to focus on creating “clients for life,” then the first step is to wean out the clients who you have loved to work with. Not only will you be excited to keep in touch with them over the years, these people are also more likely to recommend other like-minded friends and family members to you in the future. Consider adding a “Client Rapport” ranking to your CRM. After each closing, rank the client from 1-5. Anyone who scores at a 4 or 5 should be who you focus on as you create your “Client for Life” relationships. You can continue to send the same refrigerator magnet to every person in your sphere but think about upping the ante for the “4 and 5-ranked” contacts in your database. Consider hosting a VIP wine and cheese event for past clients who love to mix and mingle, send young families a coupon to the local Six Flags, offer up a gift certificate to your past buyer’s new favorite neighborhood restaurant on the one-year anniversary of their home purchase. By showing you care about them, remember their interests and are willing to spend money or time on them after the sale, you’ll be reinforcing a bond that can continue to grow even as you move further and further away from their initial transaction. Many (and maybe even most) clients hire you as they are on the cusp of major life changes. Whether they are prepping to expand their family, downsizing after the kids move away or simply shifting to a neighborhood that better suits their long-term needs, the reason for their move can act as the primary way you keep in touch for the first few years after the sale. Comment on their baby announcement on Facebook (or better yet, drop by with a branded swaddle blanket or onesie after they have settled into parenthood). Call to ask how their kids are enjoying the teachers in their new school. If you see that a coffee shop has opened up in their new condo building, ask if they would like to meet up for a cup of joe, then ask how they’re settling into their new neighborhood. As the years go by and you get to know more about them than just their reason for moving, you can settle into a more natural conversation groove. But for the first few months or years after you work with them, don’t worry about focusing on the “safest” conversation topic around — their reason for moving (and hiring you) and how that decision is working out. Many agents are afraid to ask for referrals directly because it can feel awkward and aggressive if not done in the right way. And while most have a way to generate testimonials or reviews, a lot of the platforms that promise to “syndicate” these reviews are clunky; they require an ironclad login and clients may feel turned off having to sign up for a site they never plan to use again. In the age of cybersecurity threats, not many people want to open up new accounts that require their email and other contact information. Agents who need such a service can peek at Reach150, a client feedback and referral management system from SmartZip. Reach150 is a low-key, no-nonsense way to automate your requests for referrals and reviews — and you can even turn your positive testimonials into marketing content to help win even more business over time. Get more details on Reach150 here. For more helpful tips, visit the smartzip blog! Community Videos can be a really big part of your marketing strategy as a real estate agent. They not only show that you’re passionate and knowledgeable about your community but they also can show what a buyer would get when moving to that part of town. As a realtor, you’re not just selling a home – you are selling an area or neighborhood! Below we’ve made a list of steps to help you confidently film and share a great community video! The very first step in this process is to decide what part of your community to highlight. You need to pick something you’re excited about and passionate about, whether that be restaurants, parks, non-profit organizations, etc. Judy Weiniger, a community video master, says, “Chose the businesses that excite you.” Don’t force yourself to get excited about a subject you don’t gravitate towards. We know it can be hard to choose the topic of your first community video, especially if you love a lot of things in your area. We put together a list based on passions and interests to help you get started. Do you love food & drinks? You could feature…. If you really want to go ALL IN on community videos, you can challenge yourself to feature your 30 favorite places in town over 30 days like Craig Veroni. 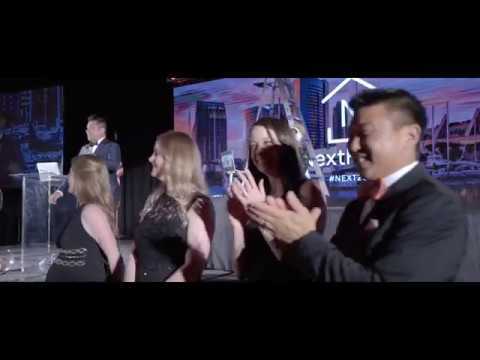 Craig is one of our Real Estate Video Influencer winners who found a creative way to highlight the best parts of his community on social media. He was trained by Jesse Peters, and Michael Thorne of RE Video Studio. Also keep in mind that you don’t just have to feature places or events, you can specifically feature people as well! Every community has inspiring individuals that your viewers will love learning more about. Craig Veroni has done another series called My Favourite Humans in Vancouver where he showcased different people. Once you’ve decided on what type of community videos you want to start with, it’s time to pick specific businesses/places/people to feature! When creating your list, we recommend focusing on a specific part of town. Marguerite Martin, a Real Estate Video Influencer winner in the Community Video Category, specializes in downtown Tacoma, instead of trying to cover her whole city. We also recommend keeping an eye on the news channels, papers and bloggers to see what people are talking about! Pick the top three things you’d like to feature. Figure out who you need to contact for each topic and gather emails. If you can’t decide between a few places or businesses, ask some other people in the community what they’d prefer to see a video feature on. And like we said before, keep an eye on blogs and the news. Though it’s important to be passionate about what you feature, it’s also important that it will spark your viewer’s interest. Now it’s time to see if you’re able to film your community videos at the places you’ve chosen. Depending on what you choose, you’ll need to reach out to the person who owns or runs the establishment. If you have picked something like a park, you could try to find & contact a person through the City Government. If you’ve picked a business, then you’ll need to reach out to the owner and get permission to do a feature. Not sure what to say in your email or video? We put together a script that we used to reach out to local businesses here in Colorado Springs! My name is (first name), I’m the (job title) at (company name). As a real estate agent, I need to establish myself as an expert on our community and a great way to do that is by filming what we call a community video. For this video, I would really love to highlight your establishment, (business name). My goal is to show off some awesome places in the community. I absolutely love your business, which is why I’m reaching out to you. If possible, I’d like to come by for a couple hours during a slower time and film a quick video with you. My goal is to capture the story of your business – so I’d love to interview you for part of the filming as well. Let me know if that is something you’d be interested in! We want nothing in return. Our goal is to simply highlight our community on social media. One last thing to remember is to make it clear that you aren’t asking for money. Ask for nothing in return. Community videos will be an investment on your part but trust us, it is an investment that’s worth it. Community videos establish you as a local expert. They will grow your following and viewership. They will help people connect you with. They will even help you establish relationships with local business owners who may eventually need to buy or sell their home! Ultimately, your community videos should bring you new clients and prospects as you grow your connections and community presence. The business owner might want to meet with you to plan your video. In that case, make sure to set aside time to meet and plan. You may also be able to work things out over email. We estimate most community videos take around 2 hours of filming on location. Try to schedule all your community videos for one day so you can knock them all out at once. It’s important to pick the best time for the business owner. They likely won’t want you coming during their busiest time of day. Try to go when you won’t be disruptive with your filming and when the business owner/employees will have the most time to talk with you! If you’re filming a lot outside, try to pick a day where the weather will be nice and pick a time where the sun won’t be too harsh. **Note: This is not mandatory! Many of our video influencers shoot their community videos on their cell phones. But if you’re new to filming, a videographer is a good place to start. We jump to our tips on how to do it yourself in the video below. We suggest using Judy Weiniger’s method of finding videographers. She says, “How I found mine is through searching videographers who do weddings.” Ask around or post something on Facebook asking for good, local wedding videographers. Most weddings are on weekends so these videographers will often be excited to get side jobs like this during the week. If you and a coworker or partner are wanting to tackle this project without hiring anyone, it’s doable! Here are some tips from Visual Storyteller, Matt Mead and Content Marketing Specialist, Alexa Franck. They walk through all the gear you need – both the basic setup and the pro setup. Now it’s time to plan out your video so you’re ready for filming! This plan should include a list of video shots you want, questions you’d like to ask the business owner, details you want the community to know, etc. Write down the script of how you want to intro and outro the video. You don’t have to stick strictly to this script, but it’ll keep you on track while filming! While planning your video, plan out the story that it will tell. Every business and person has a story to tell! Depending on who you hire, you might sit down with your videographer to plan this out. You can also send this plan over to the business owner for them to approve before the filming. It’s always good to have a second pair of eyes (like the business owner or videographer) to look over your plan so you don’t miss any key points. You don’t want to get done filming and then realize a day later that you missed an important shot or piece of information. It’s also important to plan for how long you want your videos to be. The ideal length of a YouTube Video is 5-10 minutes so you should shoot for getting enough footage to create this length of video. Tell us about the beginning of your coffee shop and what inspired you to start it! Walk me through what a typical day at the coffee shop looks like for you! What are some of the best things you serve/best selling drinks? What do you want people to experience when they come here? What makes your place unique? B-Roll: Kate making a cup of coffee, pulling espresso, steaming milk, etc. -Shots of the shop interior and decor. -A pan shot of the inside and outside. -Shot of two people talking and drinking coffee. While we were in the shop, we learned that Kate will only sell merchandise from Colorado Businesses. Because of that, we also got some footage of all of the trinkets she sold at Carnelian. It’s important to remain observant as the owner tells their story, and get shots of the amazing details they share! Filming day has come. If you’ve followed each step and taken our advice, you’ll have scheduled to film a couple of places/business for the day. You will want to have a videographer who’s ready to go and knows what shots are needed. You’ll want to have your outline ready. And fortunately, you’ll also have already built a relationship with the business owner or manager through video or meetings so you’ll feel comfortable filming with them! Things should go smoothly if you’ve planned accordingly. Our main piece of advice at this point is to have fun and enjoy the process! To build interest in your upcoming community videos, you should go LIVE on Facebook or Instagram before wrapping up your day of filming. You can include the business owner and quickly introduce them or give people a sneak peak of the places you’ll be featuring. Consider it a promo video for your community videos! We recommend going live for at least 5 minutes. If you’re worried about taking a video that long, try to prepare an outline for that video as well. Try to film another promo video apart from going LIVE. When you go live, it’ll just air on Facebook or Instagram. You’ll want a promo video for other social platforms as well. Film a quick intro in front of each place you’re highlighting. In a promo video, you can inform your viewers when the community video will premiere on your social accounts. You can also give people a sneak peak into the things you’ll be talking about in the community videos. While your videographer is hard at work getting your videos edited, you can start planning out your social strategy. Here’s the distribution process we recommend for your videos! Create an ad budget for promoting your video on Facebook. You need to pay to get views. We suggest creating a Facebook audience that includes people in your area. You can make your lists more specific as well! If you featured a yoga studio, target people who are interested in yoga, a specific yoga studio, etc. Another great way to help your videos do well on social is to have the business themselves use the video however they want! Let them use it on their website. Let them share it on their social pages. For them, it’s like a free promotional video so they will probably love sharing it. You can ask them to tag you in their posts. If you did three different videos and one performed better than the rest, try to replicate what you did. If your video on a coffee shop performed the best, maybe try to feature another coffee shop. Don’t try to cover all the things in your community. Find your niche and stick to it. If you’re planning to do a series, stick to the topic of your series until you have between 5-10 videos. Then start planning your your next series. You’re becoming a community expert! Here is the community video we did here at BombBomb! We went out and visited a local coffee shop to film our community video. We used a lot of the tips we listed here in this post and the results have been great. Thanks to Kate Firoved and Carnelian Coffee for letting us stop by! For more helpful tips, visit the BombBomb blog! NextHome is proud to announce our newest addition to the franchise, NextHome Whalen & Co. This new brokerage represents the eighth office location opened in Washington by the NextHome franchise. The Kennewick-based brokerage will be owned and operated by REALTOR® and Broker of record, Chris Whalen. NextHome Whalen & Co. will provide real estate services such as first-time buyer, investor, multi-family, land, luxury and traditional single-family sales to the areas of the “Tri-Cities” (Kennewick, Richland, and Pasco), Benton City, Burbank, West Richland, and the remainder of Benton and Franklin Counties. Kennewick is located three hours southeast of Seattle and home to nearly 75,000 residents. The city sits on the southwest bank of the Columbia River. Chris was introduced to real estate in one of the most unique ways possible – as a limo driver who happened to drive a real estate agent to the airport. Chris has been interested in construction and architecture since he was a kid, so the tie into real estate seemed like a natural choice for a career. He started in 2004 with Coldwell Banker in Phoenix, Arizona. After working several years at the brokerage, he made the moved to Keller Williams Realty and worked on one of the top teams in Arizona. Chris and his wife, Kristina, moved a few years later and he ended up selling newly constructed homes with a company called New Home Star in Cedar Rapids, Iowa – the town where he was born and raised. At that time, New Home Star was the biggest home builder in eastern Iowa. Knowing that he needed a position with more stability and health benefits, Chris approached the New Home Star team and asked if there were any positions that corporate could offer that made more sense for his family. They told Chris a sales manager position opened up in Kennewick, Washington if he was interested. Randomly enough, Kristina grew up in that area, so the Whalens moved to Kennewick. Chris was not only responsible for the sales of new homes in Kennewick, but he also trained several other sales team members who worked in surrounding areas such as Spokane. While finding his career interesting, Chris missed the ability to sell homes on his own terms versus selling just a few types of model homes. In June 2016, he left New Home Star and started his own company Whalen & Co. Real Estate and grew a successful brokerage. He found NextHome in 2018 and found the franchise to be exactly what he had been looking for in order to grow his brokerage with the right technology and tools for his agents. “The people are great, the support is great… NextHome is everything we were looking for,” added Chris. Chris says the success of the company will be because of NextHome Whalen & Co.’s committed agents and their dedication towards first-class service for their clients. Chris currently serves on the Education Committee of his local Real Estate Board and is also a Certified Real Estate Instructor with the State of Washington. Chris and Kristina have been married since 2004 and have two children – Tommy (14) and Samantha (4). The family loves to travel and spend time on the water on their boat and enjoy the Colombia River. Please join us in welcoming Chris and the rest of the team at NextHome Whalen & Co. on the opening of their brand new office in Kennewick, WA! Pleasanton, CA — March 7, 2019 — NextHome is proud to announce our newest addition to the franchise, NextHome Revere. The brokerage represents the 7th location opened in the state of New York for the NextHome franchise. The company will be owned and operated by long-time business partners Joseph Saldana and Anthony Pellicane. Based out of Bethpage, NextHome Revere will provide real estate services such as single-family residential sales, first-time home buyers, multi-family, commercial, new construction, second homes, vacation homes, retiree services, and veteran relocation services in the boroughs of Queens, Bronx and Brooklyn, as well as Suffolk and Nassau Counties. Both Anthony and Joseph followed similar real estate paths before linking up and partnering in 2012. After a 20+ year career in law enforcement with the New York Police Department, Anthony started his real estate career in 2000 on the lending side. In 2004, he joined the Douglas Elliman real estate company and did both mortgage and real estate. Successfully selling real estate, Anthony focused his attention to only real estate sales and in 2010 opened Simplicity Homes Real Estate. Joseph started his real estate career as a mortgage lender in 2000. Working strictly on loans, he owned his own mortgage company until 2008, when he joined Cruz Real Estate, a real estate foreclosure firm. Joseph solely worked on REO and foreclosure properties until 2012. While on their independent real estate paths, the future business partners met each other in 2010 when Joseph previewed a property that Anthony was holding open. The two men stuck up a friendship and worked together several times over the next few years. Seeing an opportunity to work together, the formed a partnership in late 2012 and opened Joseph Anthony Homes in 2013. The partners found NextHome in 2018 completely by accident. Interestingly enough, the introduction to the company came during a presentation from a competing franchise. On February 1st, 2019, NextHome Revere held its Grand Opening and had over 100 friends, family, past clients and community members in attendance. Also in attendance was NextHome’s Vice President Imran Poladi. Please join us in congratulating Anthony, Joseph, and the rest of the team at NextHome Revere on the opening of their NextHome office in Bethpage, NY! Our February NextHomie of the Month has brought to us a sea of enthusiasm, a field of passion, a cloud of positivity, and a giant ball of energy. These characteristics belong to the one and only Jenny Walton of NextHome Kel Mitchell in Huntsville, Alabama! There’s nothing Jenny can’t tackle once she sets her mind to it. “She is selfless, enthusiastic, a dreamer, and a cheerleader,” said Kelvin Mitchell, Jenny’s broker. “Jenny is the ultimate example of a servant leader. I am amazed at her work ethic and ability to juggle multiple tasks and transactions so effortlessly,” added Kelvin. For Jenny, that’s just who she is. “I’m a single mom and I’ve raised my daughter in real estate and I want to be a role model for my daughter, for women and for other people who think they can’t do it all as a single parent and still be successful,” said Jenny. Jenny’s real estate journey started while working at several marketing companies and led to working at an attorney’s office. In 2010 she began her journey into real estate as she found a home builder who offered her the opportunity to sit at his model homes on the weekends. Jenny eventually found a full-time position sitting on-site for some of Huntsville’s top builders. Ella Rose came along in 2012, and although Jenny’s passion lies in new construction, she realized that lifestyle would not allow her the flexibility she needed to raise her daughter, so she reached out to high school classmate Kelvin Mitchell. Jenny left her other positions behind and joined Kelvin’s NextHome office in 2015. Today, Jenny is both a working REALTOR® and NextHome Kel Mitchell’s Marketing Director where her and Kelvin have been thrilled to work together. To Jenny Walton, that’s all in a day’s work. Bent on focusing her life on her two main passions – Ella Rose and Real Estate – Jenny started a networking group called “Coffee is for Closers” which meets Wednesday mornings, right after she drops off Ella Rose at school. That sense of trust, passion, and positivity is what drew Jenny to NextHome. If there is anyone who understands real estate and family, it’s Jenny Walton. We’re thrilled to recognize her as our NextHomie of the Month. Pleasanton, CA — February 5, 2019 — NextHome is proud to announce our newest addition to the franchise, NextHome Next Stepp. The brokerage represents the fifth office location opened in the state of Ohio for the NextHome franchise. The brokerage will be led by broker/owner Bill Stepp and he will handle all day-to-day operations for the company. The team at NextHome Next Stepp will handle all types of residential property sales such as first-time home buyers, investors, land and farms, relocation, foreclosures, short sales, and all forms of residential sales of 1-4 units. Additionally, the brokerage will serve the community with an auction platform for all real estate properties. Located an hour south of Cleveland and one hour north of Columbus, the Ashland-based NextHome Next Stepp will service various areas throughout Central Ohio including the cities of Ashland, Mansfield, Wooster, Millersburg, and the remainder of the Richland, Wayne and Holmes Counties. A professional auctioneer since 1990, Bill brings a unique advantage to the local community. In 1997, he became a full-time auctioneer and has adapted his auction model to serve as a way of selling homes for over 30 years. In 1997, Bill started in real estate with Dilgard and Associates – a real estate and auction company. Shortly after, Bill purchased it from the owner of the company, who started it in 1953, when he expressed a desire to retire. The company has been known for their real estate auctions and has been consistently auctioning more than 30 homes a year. As the owner and broker of Dilgard and Associates, Bill grew the company to 14 agents with an annual sales volume of over $13 million – no small feat when the average sales price of a home is around $125,000. In 2018, the company closed over 100 real estate transactions. While very successful, Bill did look at various real estate franchise models, but always decided to not franchise due to a lack of value. However, in mid-2017, he found NextHome through a real estate magazine. After researching for over a year, Bill made the decision to franchise with NextHome. Bill has been recognized for his service to the real estate industry and auction community for many years. Bill served as the 2011 President of the Ohio Auctioneers Association and in 2018, he was inducted into the Ohio Auctioneers Association Hall of Fame. In 2019, the company has been nominated by the Ashland Chamber of Commerce as a semi-finalist for the Sales and Marketing Award. Bill and his wife of 34 years, Connie, have two sons – Zane, who is the Office Manager at NextHome Next Stepp, and Zach, a nurse based in Tampa, Florida. Please join us in congratulating Bill and the rest of the team at NextHome Next Stepp on their new NextHome office in Ashland, OH! Log in to your NextHome account!